Do you know what leadership is? What do you perceive when you talk about leadership? Upper beautiful part from one of Simon Sinek’s books is describing what leadership is. I would even enhance the last sentence and instead of “followers” use “leaders”. The main task of every great leader is to develop new leaders, not followers. Great leaders need to establish leader-leader approach that is simply better than leader-follower approach. Nobody can force you towards leadership. Leadership is choice. Your choice. Only your choice. What are the main things every great leader needs to have? I am sharing with you my view of 6 Things Every Great Leader Should Have. What is harder for you – to talk or to listen? Do you listen? When was the last time that you listened? Listening is essential skill for every great leader. Moreover, it is the one of hardest ones to have. In today’s world we are used to talking, we are used to giving advice and we are used to expressing ourselves. However, do we really know how to listen? Do we listen or we are listening and preparing our counter response? What we can differentiate are three main types of listening. Level 1 is internal listening based on your own agenda. Meaning you listen, but you do not care what other person is saying. You are already preparing your own answer. Level 1 is only about you. Level 2 is focused listening. We are focusing on the other person. We can hear what the other person is saying. We are listening without our own agenda. Where are you as a listener? Are you in Level 1 or Level 2? What do you think? Level 3 is the deepest global listening. The listening that differentiates great leaders from good leaders. It is not listening only about words, it is about change of tone, it is about body language and it is about hearing what kind of words are being used. Level 3 listening is listening without judgments and without evaluation. You are fully there – you are present. You listen – you really listen. How often have you been in Level 3 listening? This is ultimate goal of every great leader. In addition, not only listening to others, but also listening to you. When was the last time that you manage to hear your heartbeat? You do not remember, ha? If you want to ask questions then you need to know how to listen. Moreover, do not forget LISTEN has the same letters as SILENT. The ultimate goal of every great leader is to delegate authority where information is. Information is on the “first line” and we need to empower our people to develop leaders there. We need leader-leader approach – everywhere. What are companies usually doing? Not empowering people and they are establishing endless reporting. Reporting has the goal to bring information from bottom to the top where authority is sitting. Then the decision is done at the top and it is being cascaded down. Instead that “top” has focus on the vision and leads companies towards long-term success, “top” is swimming in information overload. That is example of Leader-follower approach that is short-term oriented approach. Leader-leader is a long-term oriented approach. Not many companies are cherishing leader-leader as pressure towards results is on a daily basis. Great leaders need to resist temptation and need to balance long-term and short-term orientation. Leader-leader approach is more sustainable and more long-term approach. The main challenge is that it is an approach of delayed gratification. Results are not visible immediately and in today’s world of instant gratification, this can be a challenge. That is why great leaders are here – to solve that kind of challenges.Not empowering people, we are creating followers who are not developing and who are not unleashing their own potential. If we have 1.000 people in the company and just 5 are deciding, do we need then other 995 people? If we have 15 people in the meeting and they all think the same as 1 big boss, then do we need other people? Here comes the HIPPO challenge. Do not be a HIPPO. HIPPO means HIghest Paid Person’s Opinion. In many companies, HIPPO is talking and others are just nodding or saying “Yes, great idea!” That is leader-follower approach. Remember to Listen. Remember to be Silent. Remember to Empower. Then you can avoid being a HIPPO. 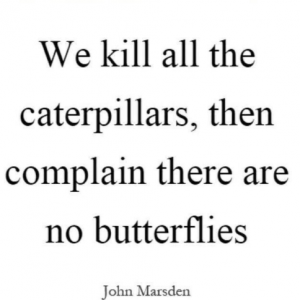 “We kill all the caterpillars, then complain there are no butterflies“ – this is the core of no empowerment. Empower and stipulate diversity in opinion. Stipulate ownership and stipulate accountability. This is what great leaders do – they create new great leaders via empowerment. You, as a great leader, have personal responsibility to develop others. When you go to the library, you can find section called Self-Help, but where is the section for Help Others? When someone is not doing well in the job, do you know the reason? Do you listen enough to understand? 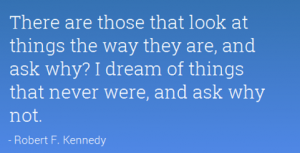 Do you ask powerful questions? Do you even want to understand what is happening? On the other hand, you just do not care and you look at the numbers? You then wait for feedback, talk to give negative feedback and you try to use the stick-and-carrot approach? Do you use fear leadership to improve the performance of others? How much of your time do you use to develop your team? Think about it. When you imagine your working day, what is percentage of your time you use for reading and answering endless emails? What is percentage of your time you use for meetings? The most important is, what is percentage of your time that you use to develop your people? Reflect. What are you doing for your consumers? 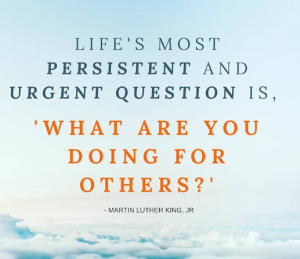 What are you doing for your colleagues? What are you doing for your community? Great leaders care. Great leaders empathize. Great leaders help others – help others to unleash their own potential. Gandhi’s quote is one of the most beautiful quotes that I have ever read. Ten words are sufficient – you as a great leader, need to be a role model. People are looking at you – do not forget that. Where do you want to be in 10 years in your business life? Where do you want to be in 10 years in your private life? If you know the answers on those questions then you are already on the way towards great leader. Great leaders know where they are going. You are the creator of your destiny – nobody else. You decide what will happen to you. Do not blame others, do not justify yourself, you and only you are responsible for your life. Do not be a victim. Go fast forward 20 years from now. Where are you? Who is around you? Who are YOU? What do you notice? Now look back to your life. What have you achieved? Are you satisfied? Would you do it differently? What would you do differently? 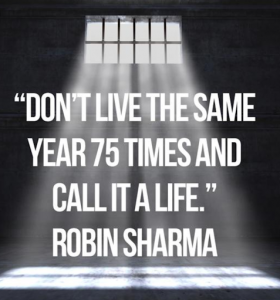 Live life. Hey, you have only one life! Do not use it on worthless things and worthless moments. 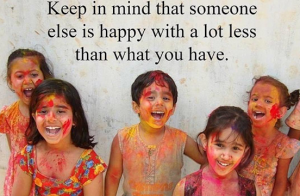 Enjoy time with your family, enjoy time with your friends, travel, be outside, simply enjoy! Before I close with 30 second speech of Coca Cola’s ex-CEO, I would like that you take a moment, check two pictures below and reflect. What do you notice? What do you think about it. “Imagine life as a game in which you are juggling some five balls in the air. They are Work, Family, Health, Friends and Spirit and you are keeping all of there in the air. Marko Mintas is Erickson Professional Coach, lifelong learner, sales and marketing leader with successful track record and experience in sales, trade marketing and marketing management of multinational blue-chip company in Fast Moving Consumer Goods. Marko is passionate about coaching, people leadership and supporting other people to unleash their own potential. He cherishes entrepreneurial mindset through challenging status quo, searching, finding and creating new ways to establish additional value, achieve exceptional business results and consistently deliver strong top and bottom line results. Marko is Master of Business Economics at University of Zagreb with having numerous additional educations incl. Harvard Business School and IESE. He has been working in three different countries and is currently living and working in Vienna, Austria.